In a latest addition to the series of draconian measures taken by the current dispensation to make India open defecation free, Lieutenant Governor of Puducherry, Kiran Bedi has set a four-week deadline to the poor people of the union territory to make their villages open defecation free or lose their monthly entitlement: free rice. Under the free rice scheme, families living below poverty line (BPL) are entitled to get 20 kg rice every month while those in above poverty line (APL) category receive 10kg rice—staple diet in the region. Rural Puducherry has a population of 395,200, out of which 17.06 per cent people live below poverty line. If we take Bedi’s diktat at face value, we are looking at around 60,000 people from BPL households and thousands others from APL household who stand to lose. Is this how we want to make India achieve ODF status? Last year, my colleagues did an investigation into implementation of Swachh Bharat Mission (SBM) and found that the SBM foot soldiers are shaming those defecating in the open, denying ration from the public distribution system and arresting offenders under various sections of the Indian Penal Code. Were they part of the SBM guidelines? We had asked then, and we shall ask again. While the neighbouring state of Tamil Nadu has attained an individual household toilet coverage of 98.09 per cent, the union territory is still struggling with little over 61 per cent. Its open defecation percentage is slightly better than Bihar and Odisha at 23.40 per cent. After missing the initial deadline of October 2017, Puducherry had set its eyes on October 2018 to achieve ODF status. Strangely enough, despite admitting that no local representatives or officials of concerned departments had made a determined bid to make rural Puducherry clean for the last two years, she does not crack the whip on officials but put the burden on the hapless lot. We are increasingly seeing a trend wherein the executive heads of states and district officials are working more as sales executives for whom, making India open defecation free by October 2019 is a target they need to meet anyhow to ensure performance appraisal. Instead, they should work towards bringing about behavioural change through “intensive IEC (information, education and communication) and advocacy”, with participation of NGOs and panchayats. Kiran Bedi’s one-month deadline is also suggestive of ignorance on what's achievable in a sustainable manner. 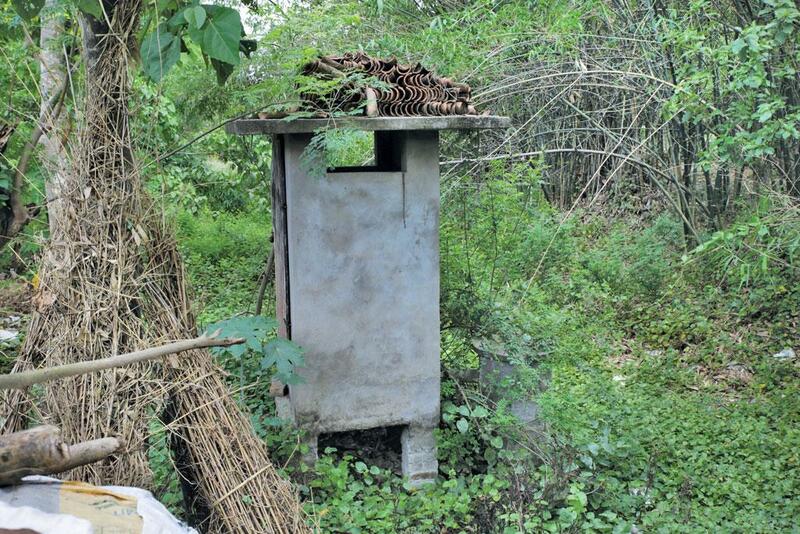 Is it humanly possible to reach 100 per cent ODF from below 25 per cent within a month? Even if that happens, it will be yet another toilet chasing without actually translating into an open defecation free Puducherry. To understand this, we first need to understand what the ODF status means and why the foot soldiers of SBM are trying to bag it for their districts. According to the UN data, every morning about 600 million people across India walk to the fields, roadsides, railway tracks, banks of water bodies, or any other outdoor place to relieve themselves; 87 per cent of them are from rural areas. Germs present in their faeces then spread out to infect others. This is a major reason India fares worse than several poorer countries on human development indicators, including infant deaths. This is also the reason a large fraction of children in India are underweight and stunted and the country has failed to eradicate debilitating diseases like polio and cholera despite international cooperation. To improve the quality of life, the government for the past three decades has been trying to provide sanitation facility to all its citizens—it first launched the Central Rural Sanitation Programme in 1986. Scope of the programme was expanded in 1999 and Total Sanitation Campaign (TSC) was launched. In 2012, the government revamped TSC to Nirmal Bharat Abhiyan (NBA), which continued till late 2014 before being renamed Swachh Bharat Abhiyan (or SBM as it is known today) by NDA. In 2015, the Comptroller and Auditor General of India published an audit of TSC and NBA, which says 48-56 per cent of the households did not have toilets. Of the toilets built since 1986, over 20 per cent were lying defunct and used as storerooms or cattle sheds. The NDA government claims that SBM has been designed to ensure that people not only build toilets but also use those. 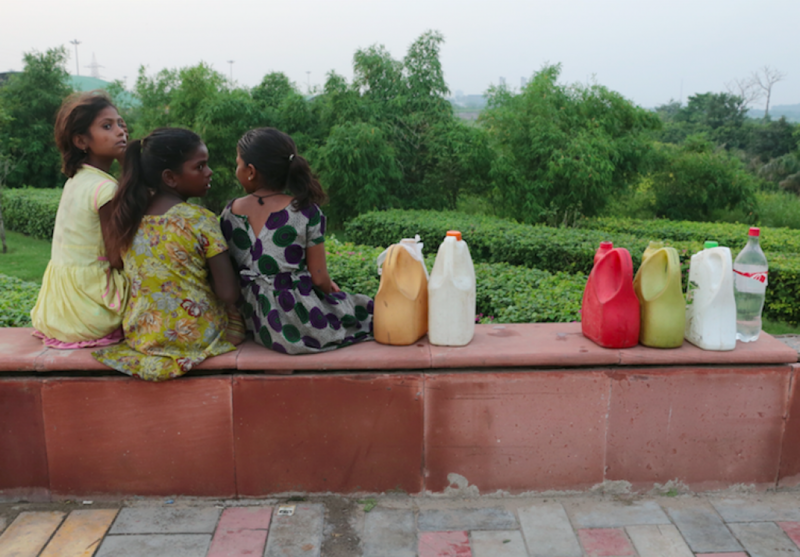 “Unlike the previous sanitation programmes, SBM focuses on the behavioural change which has been a major challenge in moving towards a clean status,” says Parameswaran Iyer, Secretary of the Union Ministry of Drinking Water and Sanitation. This is for the first time the ministry is counting the number of villages and districts that are becoming open-defecation-free every day, adds Iyer. At the last count on July 5, 2017, some 149 of the 707 districts were declared ODF and 64 million toilets were to be built before October 2, 2019—the deadline by which Prime Minister Narendra Modi wants India to attain ODF status, to coincide with Mahatma Gandhi’s 150th birth anniversary. To achieve the target, India needs to build one toilet per second. 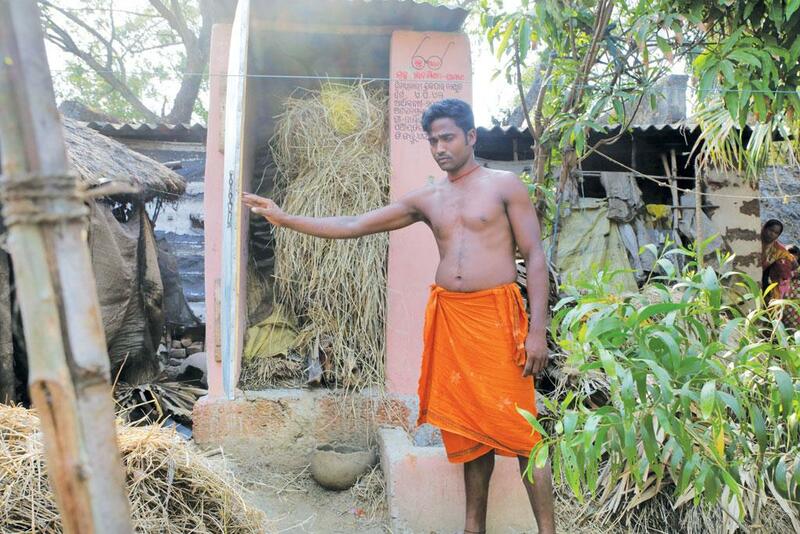 While achieving the target seems highly improbable—India will take another three years to achieve the target if it continues to build toilets at the rate it was building during 2016-17—it does indicate one thing: the mounting pressure on district collectors and panchayat functionaries to construct toilets on a war footing and persuade people to use those. And at this very juncture, a social and health objective assumes the form of a diktat. Social activists tell DTE that the pressure is so high that SBM foot soldiers are wielding whatever stick they can lay their hands on—from blowing whistles at those defecating in the open to denial of ration from the public distribution system (PDS) and social welfare benefits, and arresting offenders under various sections of the Indian Penal Code. None of the coercive measures so authoritatively used by SBM officials is part of the SBM guidelines, which say the behavioural changes should be brought about through “intensive IEC (information, education and communication) and advocacy, with participation of NGOs/Panchayati Raj Institutions/resource organizations”. DTE analysis shows that in 2016-17 the government spent 0.8 per cent of the funds allocated for awareness programmes against 8 per cent recommended in the guidelines. In districts, such as Puri in Odisha, neither the district collector nor SBM coordinator was aware of sanitation-related IEC programmes. Worse, some tactics used by SBM officials violate rights guaranteed under the Constitution. 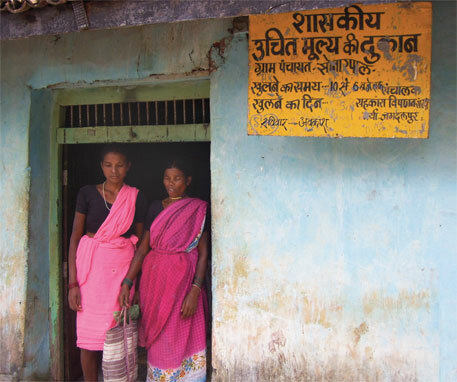 For instance, Kapasi village in Chhattisgarh’s Balod district uses CCTV cameras to stop people from defecating in the open. The village panchayat slaps a fine of Rs 500 on those found defecating in the open. It also awards people who report about the offenders. Similarly in West Bengal’s Nadia district, the district administration and a few gram panchayats have set up “wall of shame” in the village on which the names and photographs of those defecating in the open are pasted. The steps have helped Kapasi to be declared the first ODF village in the district and Nadia as the first ODF district in the state. “These are clear violations of right to privacy guaranteed by Article 21 of the Constitution, which says, ‘No person shall be deprived of his life or personal liberty except according to procedure established by law’,” says Prasanta Kumar Hota, executive director of Solidarity for Social Equality, human rights organisation in Odisha. In some states, such measures also have the approval of the district administration and state government, says Sulakshana Nandi, activist with Jan Swasthya Abhiyan, Chhattisgarh. 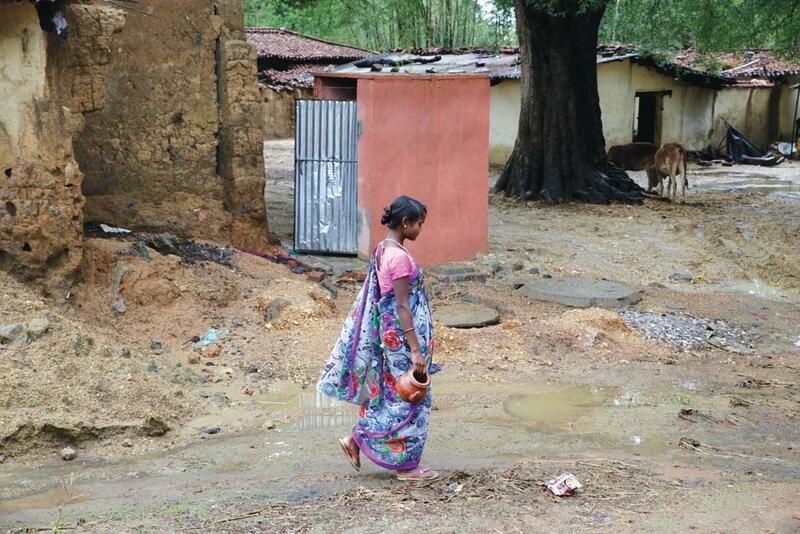 In Jashpur district of the state, officials have pressed students of around 2,000 primary and middle-level schools to secretly submit the names of their family members or neighbours who defecate in the open. The state government has appreciated the district administration for the system, now dubbed Swacchata ballot, and plans to replicate it in other districts. In February this year, the representative of Mali gram panchayat in Madhya Pradesh’s Chindwara district informed the residents of Tumadar village at the gram sabha (village council) that those who fail to build a toilet in their house will be stripped of all government benefits, especially ration from the PDS. The panchayat suspended its order after the village residents submitted a memorandum to the district collector, saying the village does not have proper water supply. 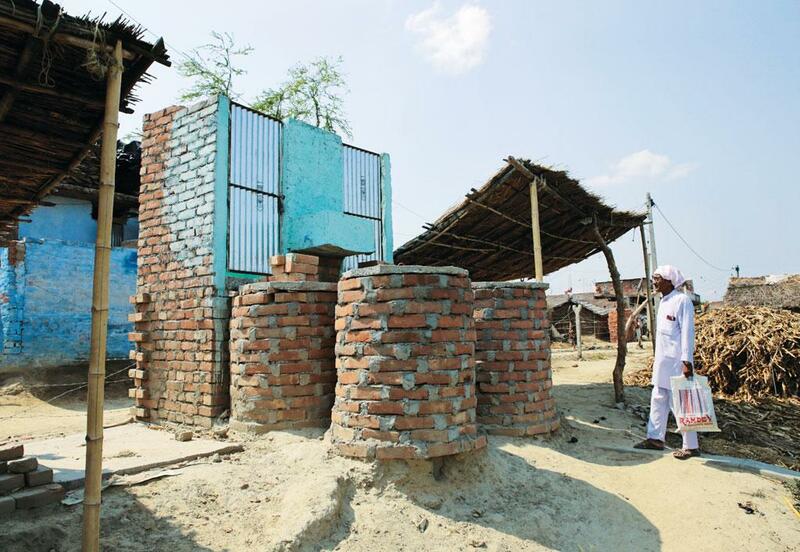 Around the same time, panchayat officials of Kota in Rewa district informed people that those who do not construct toilets by July would not get food grains from ration shops. “We must understand that people are entitled to receive subsidised ration under the legal framework of the National Food Security Act, 2013. Under the law toilet is not an eligibility or exclusion criterion. Depriving the poor of food grains is a violation of the law,” says Sachin Jain, food rights activist in Madhya Pradesh. To make sanitation everybody’s business, the Narendra Modi government has roped in celebrities like Amitabh Bachchan, Kangana Ranaut, Shilpa Shetty, Ravi Kishan, Isha Koppikar and Anushka Sharma. While it is too early to judge to what extent these ad campaigns have succeeded in convincing people about the health implications of open defecation, there is a possibility that they could be propagating ways to bully “the lowly and the dirty ones”? In the Jadugar ad, “Bachchaji” asks “Bachchanji” to enact some magic he learnt while doing the film Jadugar. Bachchan’s effort entails him throwing a stone at a tree, which in turn makes birds fly out of their nests. Unimpressed, Bachchaji throws a stone in another direction and men appear with buckets and mugs in hand as they were out to defecate. In one of the Darwaza Band ads, we see Bachchan whistling at the offender. In another, Anushka Sharma is shown prompting women and school children to jeer at the offender. These are the common tactics that SBM foot soldiers are using to compel people to build a toilet and use it. There is a strong bitterness brewing among “those people”. In the drought-hit Tuticorin district of Tamil Nadu, the village panchayat of Theethampatty denied work under the Mahatma Gandhi National Rural Employment Guarantee Act (MGNREGA) to people who did not have toilets at homes. The verbal order issued in February deprived about 200 farmers from MGNREGA benefits at a time when the state government had extended the 100-day scheme by another 50 days to provide relief to drought-hit farmers. Objecting to the non-existent rule, a 70-year-old farmer C Subbiah has now moved the Madras High Court. 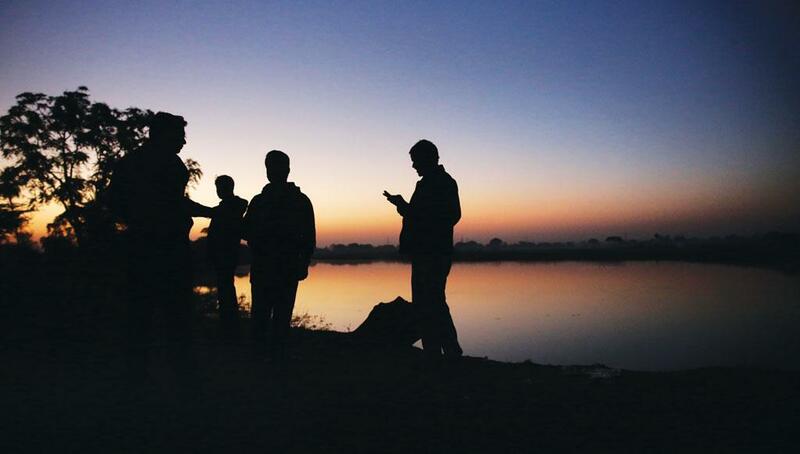 In Haryana, three aspirants of panchayat elections moved court against the Haryana Panchayati Raj (Amendment) Act, 2015, which disqualifies a person without a toilet at home from contesting panchayat election. The petitioner claimed that the amendment violates Article 14 of the Constitution, which says “the state shall not deny to any person equality before the law or equal protection of the laws within the territory of India”. The court has upheld the amendment. While such instances are so far limited, analysts say the quick-fix approach could push the country towards a bigger disaster. The government has denied 76 million people in the country eligible to access public distribution system (PDS) the benefits of the food security system. For the past 20 years, the government has not cared to refresh its data and has been distributing foodgrain according to the population figure of 1991. Worse, the Centre has stopped additional allocation of five million tonnes of foodgrain to 150 poorest districts in the country since the current financial year. The decision to give additional foodgrain was taken in 2011 on the recommendation of the Central Vigilance Committee on PDS headed by Justice (Retd) D P Wadhwa. In 2001, People’s Union for Civil Liberties (PUCL), a human rights organisation, filed a case in this regard. 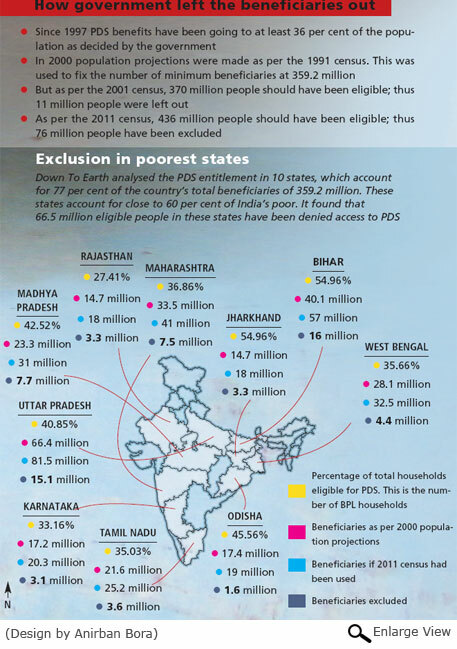 About two years ago, the Supreme Court directed the Centre to identify the PDS beneficiaries based on the 2011 census. But the government took no action. On April 23, this year, the apex court reminded the Centre of the order. The Centre will give its reply in July. The country’s population was 840 million in 1991, significantly less than 1,210 million as per 2011 census. But the government recognises only those beneficiaries whose names appear in the 2000 population projections, which, too, were based on the 1991 census. Population projections were not made in 2010. In 1993-94, the Planning Commission decided that at least 36 per cent of the country’s population should be given the benefits of PDS. The decision was taken on a recommendation made by an expert group on estimation of proportion and number of poor. The expert group was chaired by D T Lakdawala. Following this, the government calculated the number of beneficiaries as 359.2 million. Ever since, no change has been made in the number despite two censuses. “Had the government given PDS privileges to 36 per cent people based on 2011 census, there would have been 76 million more beneficiaries. But the government stuck to the population projections of 2000,” says Kavita Srivastava, petitioner on behalf of PUCL. Close to 30 million people have been left out in Bihar and Uttar Pradesh alone. The government, however, denies the exclusion. Sudhir Kumar, secretary, Ministry of Consumer Affairs, Food & Public Distribution, says the allegation is mere speculation. “It is true that the population has increased since 2000. But not all are beneficiaries. It is the state government’s duty to weed out ineligible beneficiaries and include new and eligible beneficiaries,” he says. It seems the government is waiting for the bill to pass before taking any step on giving the deprived their due. Deepak Kumar, joint secretary of the ministry, says, “Even if we initiate the process of inclusion, state governments would delay the process of identification. Amid the confusion, the food security bill would be passed and the entire process would be halted. Then another process of identification, under the new bill, will have to start”. Considering the condition of 150 poorest districts, in 2011 the government had allocated additional 2.37 million tonnes of foodgrain to families registered under Antyodaya Anna Yojana and those living below poverty line. The recommendation of the Central Vigilance Committee on PDS was accepted by the Supreme Court on May 14, 2011. On March 13, the government raised the additional allocation to 5 million tonnes. But the programme was abruptly stopped from this financial year. “The government took the decision to reduce its food subsidy bill,” says Sejal Dand, adviser to the commissioners appointed by the Supreme Court on food security. “The additional allocation was never meant to be permanent. We did what the apex court had ordered,” says Kumar. But he admits the allocation was a financial burden which the department could no longer afford. In Chhattisgarh, 22 out of its 27 districts were chosen for additional allocations. The Centre’s decision to discontinue it has created problems for the state, says Bikash Sheel, secretary, department of food and civil supplies of the state. “On the Supreme Court’s decision, we issued additional ration cards in order to provide foodgrain to vulnerable groups. Since the Centre has stopped the allocations, the state government will have to bear the cost,” he says. “This will create another socio-economic problem. What if one ration card bearer gets grain and the other does not?” An affidavit has been filed in the Supreme Court against the ministry’s decision, says Sheel.